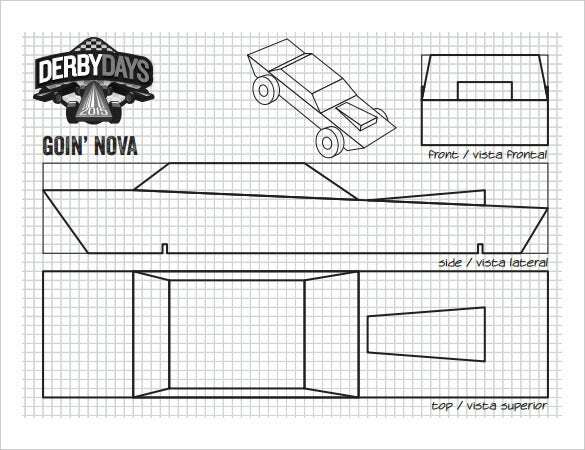 21+ Cool Pinewood Derby Templates – Free Sample, Example Format Download! Do you remember those times when you are looking for the best item among many and you just get stuck in the middle? 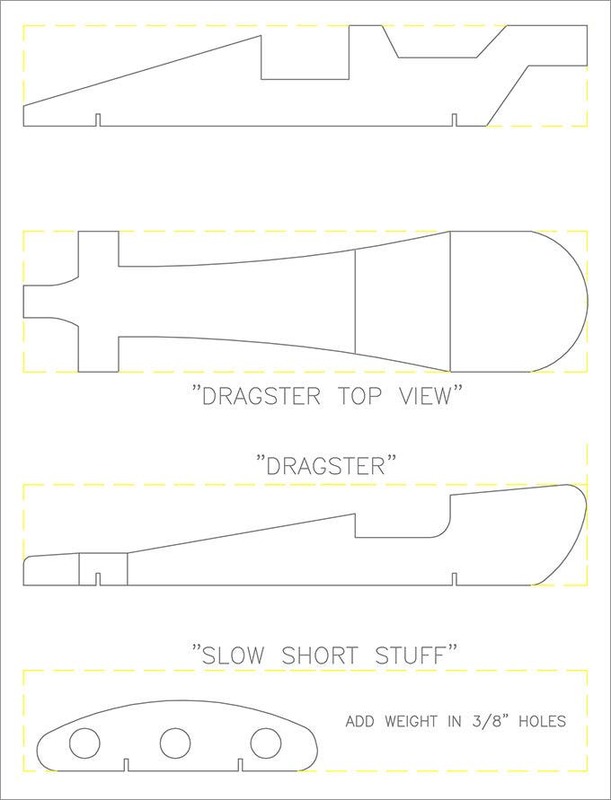 Such times are there, but already we have separate the wheat from the chaff to get you the best so you can be sure that it is going to be a straight forward thing making a choice of a Pinewood Derby Templates. It is obvious that there are many out there, but you can get the highest of quality here. See this Snowflake Stencil Templates. With thousands of people searching for such templates, it plays logic not to scare them out of a page by providing low quality content that will make them think twice. As it stands, quality items always results to quality projects already. 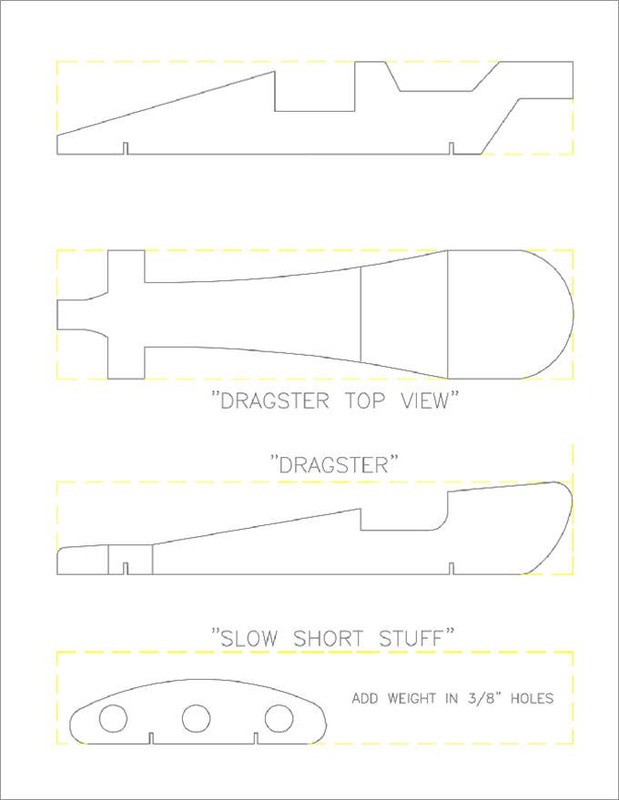 So you want the pinewood derby cars Template to be nothing else other than of the best quality because you will be using it somewhere for your own project. It’s always an amazing experience to take part in the historical Pinewood Derby race for every Scout. However, added to the thrill of chasing at the race, it’s also exciting to build up one’s own racing wheel for the esteemed event. > What is Pinewood Derby? A favorite among the American teens, Pinewood Derby refers to a prestigious racing event meant for the Club Scouts from Boy Scouts of America. As per the rule of the racing event, the young scouts have to build up their own cars from kits packed with pine wood blocks, metal axles & plastic wheels. The racing track comes up with 2-6 lanes & slopes downwards to ground as the participant cars are powered basically by gravity. Every car would have this opportunity to chase on every lane. The participants can race in a group or individually against an entire pack. The first ever Pinewood derby was held in 1953. It’s an annual event. 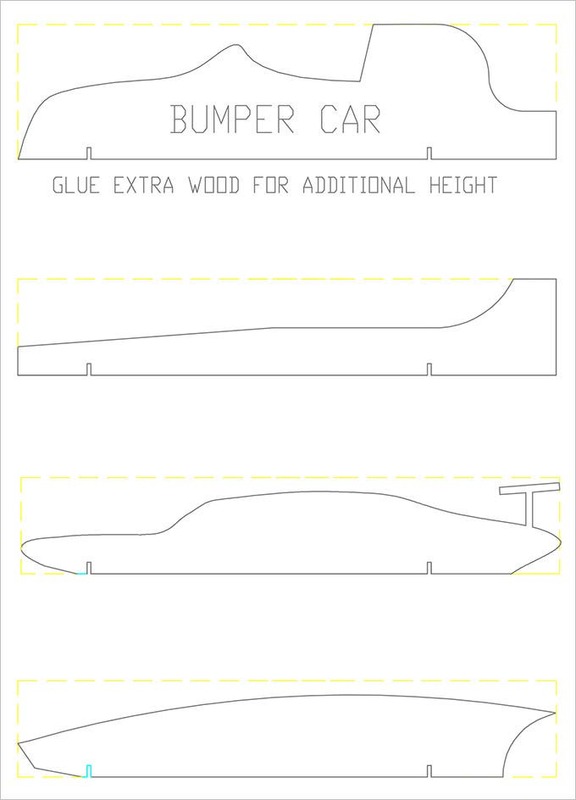 If you are looking for effective Pinewood Derby Templates free download, this template here would be great for you with its blueprints and measurements for different styles of the racing car. 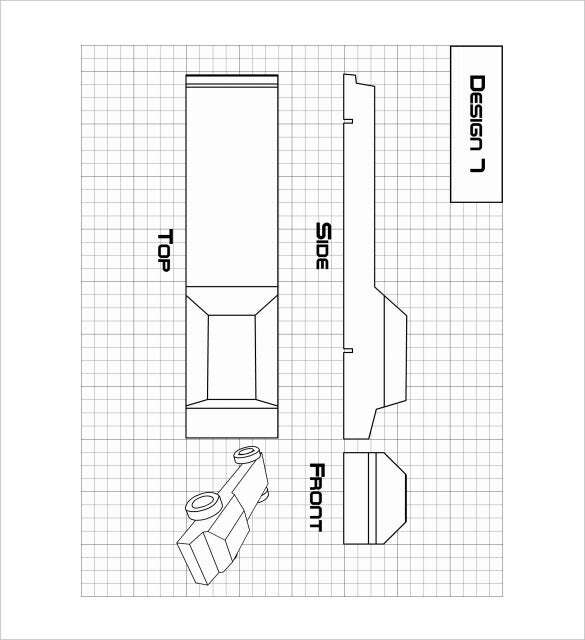 If you are in quest of handy pine car derby templates, this one here would be amazing for you with its readymade easy to use templates and instructions for the amateur participant in the race. 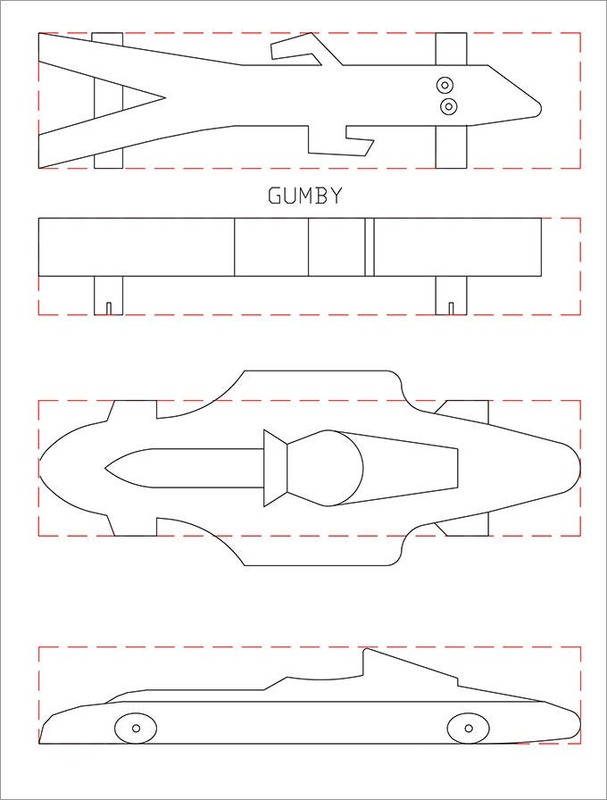 If you are looking for a reliable guide on how to build a pinewood derby vehicle, this template here would be handy for you with its blueprint and instructions on the car-building materials. 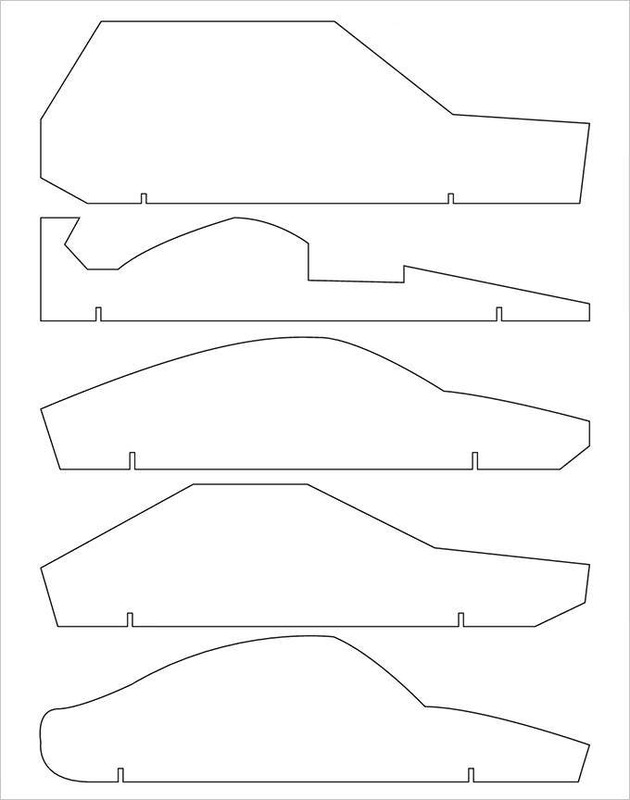 This printable Pinewood Derby Template would be a great map while you are about to create your derby racing car as it offers a thorough view on building the car at every stage. 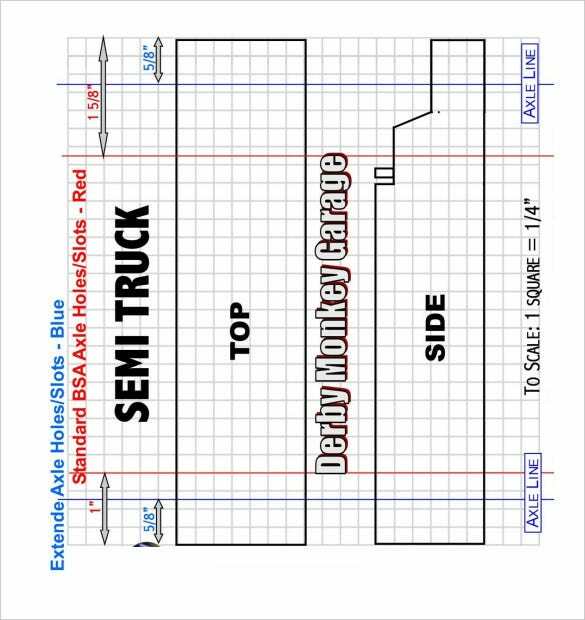 You are getting elaborate instructions on building your DIY pinewood derby car that show how your car would look like and what are the materials that you would need to include and why. 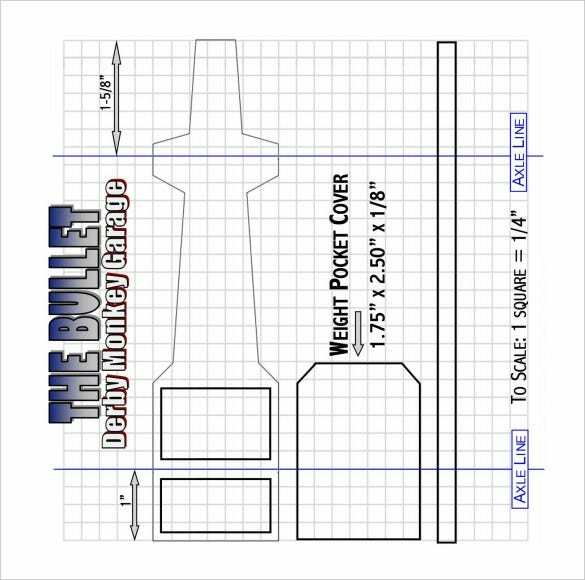 You are getting blueprints of a versatile array pinewood derby cars to choose from in diverse styles to choose from while you are about to make your own racing car, as per your typical style statement. 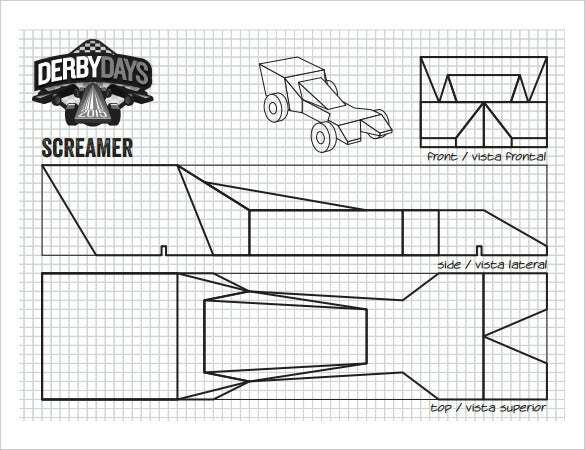 This template here has come up with as many as 4 Free Pinewood Derby Car Designs to choose from as you embark upon to build your own derby car for the race. There are even additional building tips. 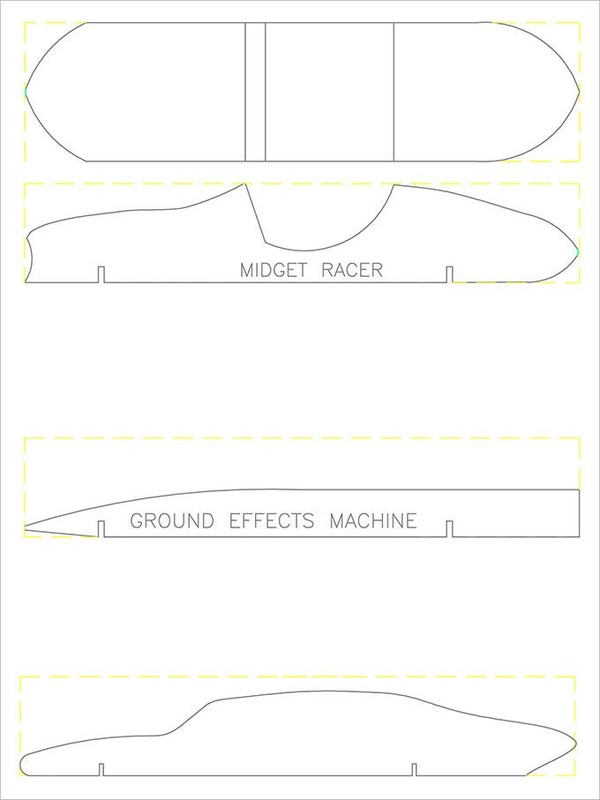 If you are looking to race in a midget racer in your Pinewood derby race, this template here would be helpful for you with its midget racer blueprint. 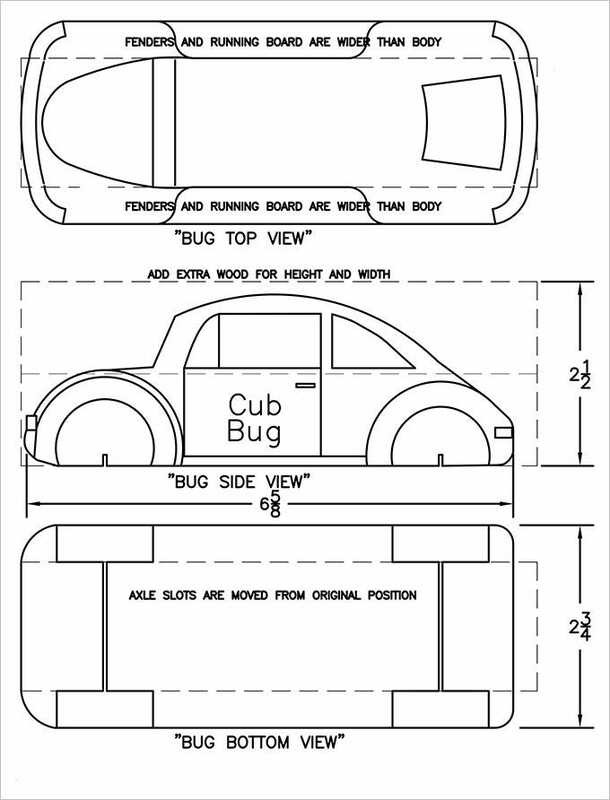 There are blueprints of 3 other cars as well. 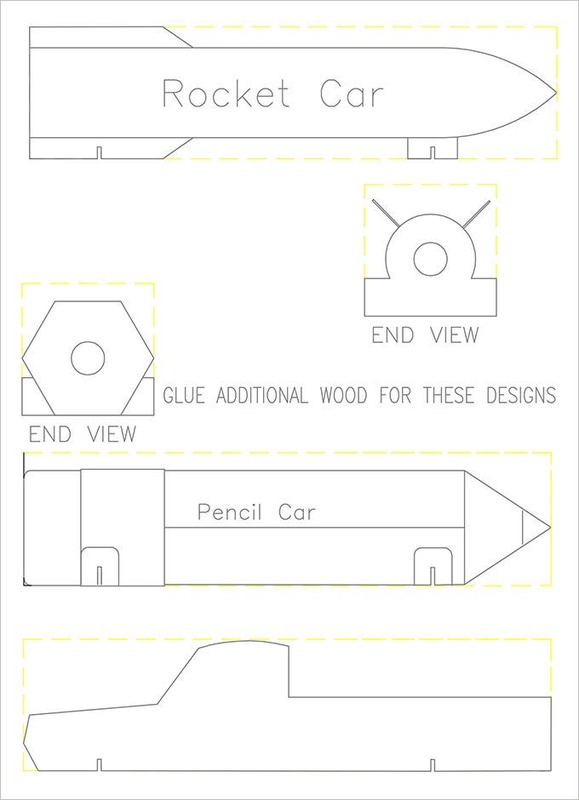 The template here presents you maps of 3 pinewood derby cars including rocket & pencil cars. You will even get expert tips to help you in a solid build of your car for the race. You are sorted, so be sure you will get only the best. The most important thing to note is that we strive to collect and present you only with high quality templates that you can use for your next project. 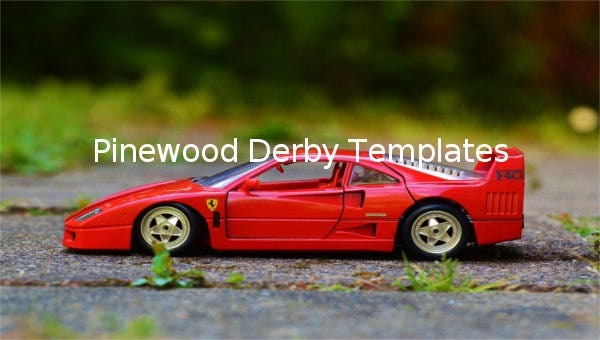 Just imagine the joy of finding high quality Free Pinewood Derby Template all on one single platform instead of having to browse through hundreds of website pages on the internet. You can see now how much precious time you end up saving. There are tens to hundreds of templates. Do the best you can with your eyes and pick the one that pleases you. The participants are offered a pine block, 4 nails & 4 plastic wheels to make the car. Blocks could be carved by a bandsaw or hand knife. 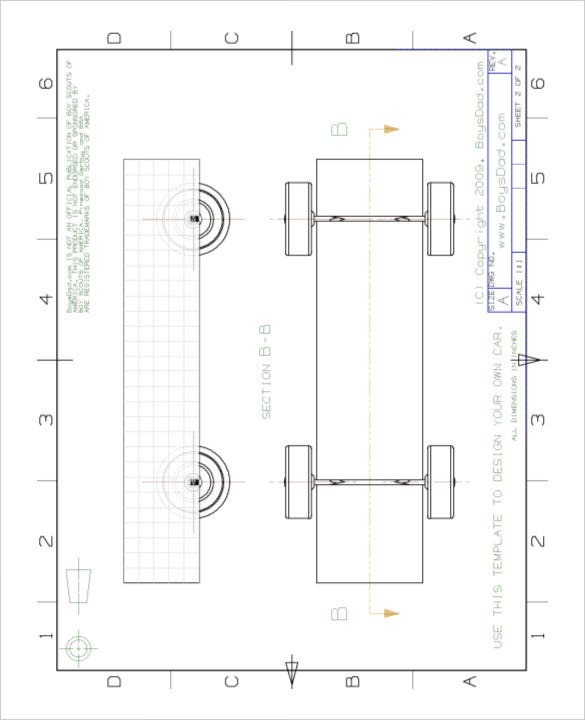 There are free Pinewood Derby Templates to help you with the car structure. Building a racing car for Pinewood Derby is no doubt fun but the Scouts are often in need of a guide while building up the car. 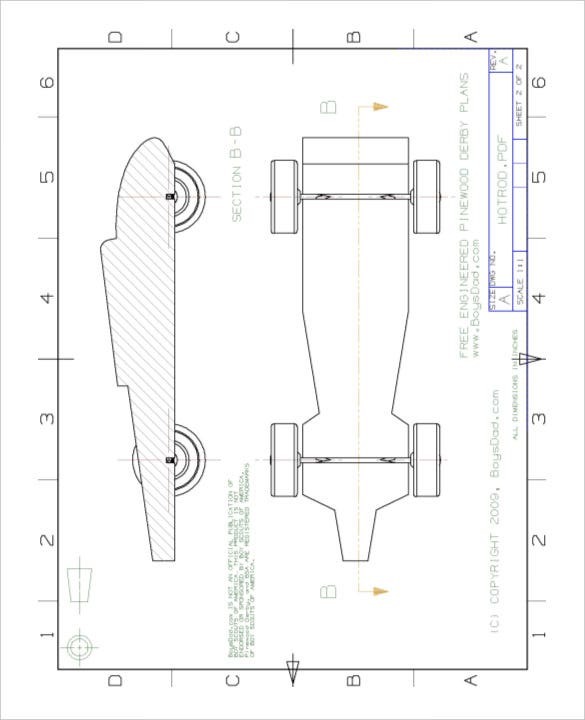 The Pinewood Derby car Templates download come as a handy help here with their readymade car blueprints. 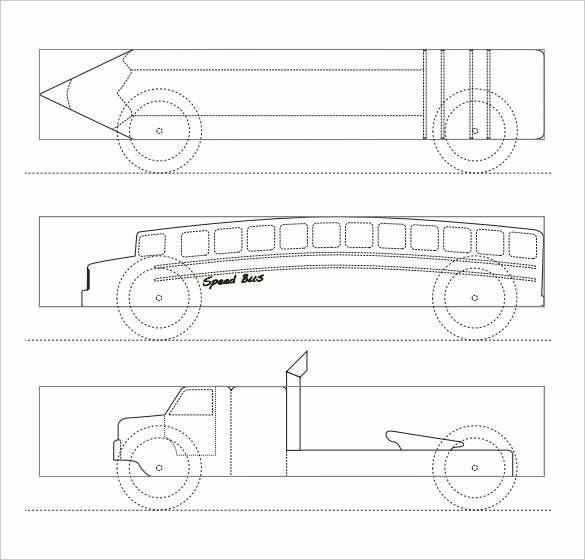 Whether you prefer a pencil car or a rocket car or want your car to emulate a speed bus, there are templates for all. 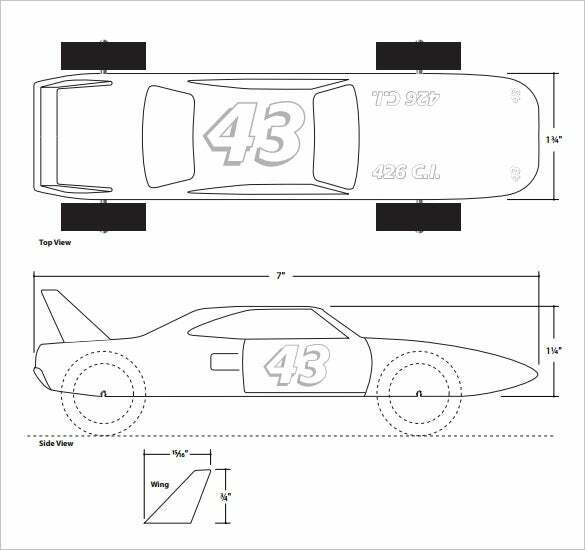 The templates offer the young Scout a precise outline on the layout of the car, so that he can easily give shape to his Pinewood derby car dreams. 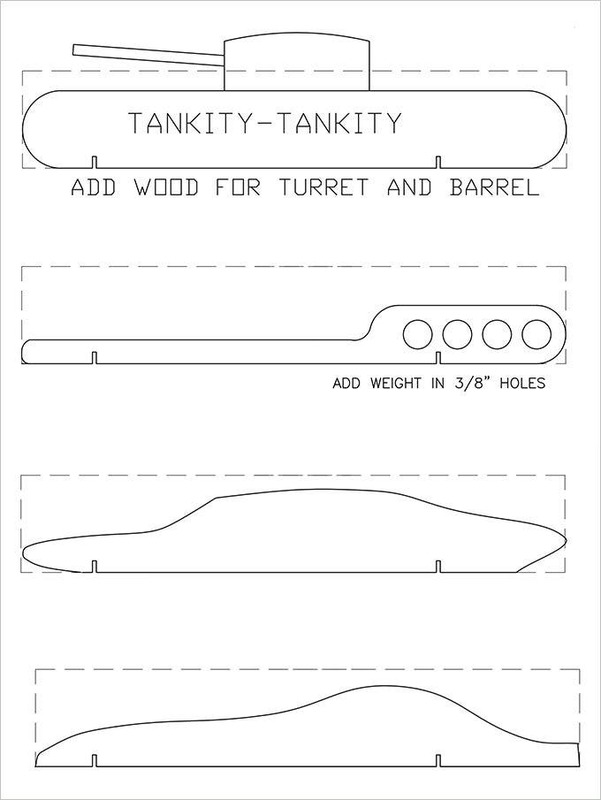 Some of the freePinewood Derby car plans often come up with instructions on building the car such as where to add weight, where to add wood for turret & barrel if you are planning a tank-shaped military car etc. 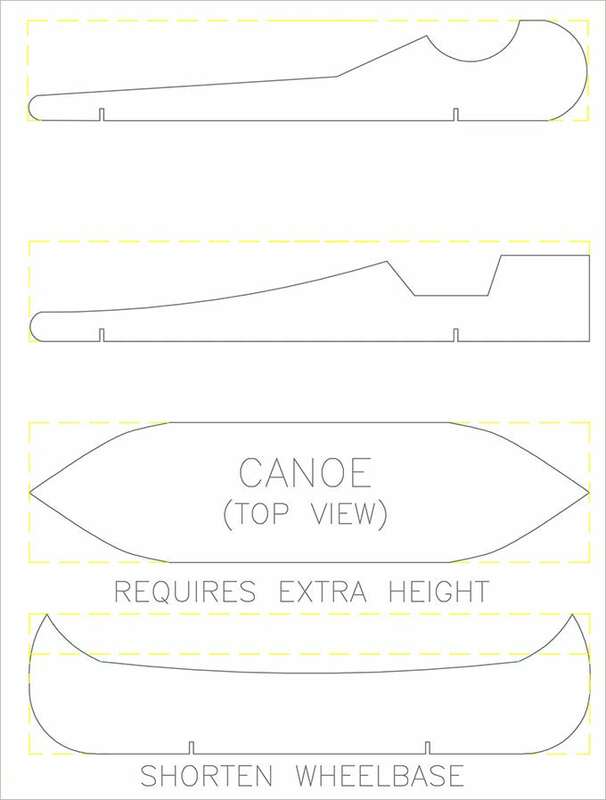 Decide on the design of your Pinewood Derby car and then choose a template accordingly. The finished racing car must utilize all the 9 pieces available with the building kit. It should not weigh more that 150 gms or 5 ounces. The width & length of the car must be within 7 cm & 17.8 cm respectively. Make sure your finished car fits adequately on the racing track that is to be used by your specific scout pack. For lubricants, you can’t use anything other than graphite & it helps with a good polish of nails provided for building the car. If you are looking to add weight to your racing car, you can use melted lead, glue-in lead bits and coins. 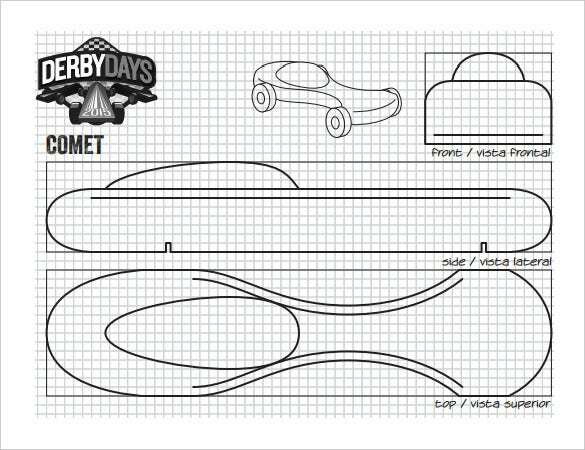 If you are looking for most amazing Pinewood Derby Patterns, template.net offers you a heart welcome with its awesome collection of versatile derby car templates.